Free quilts, spread the word! This season we have released tree cozy Autumn quilts here on tildasworld.com, the Duck Quilt, the Plaid Quilt and the Cross Quilt. You will find the explanations under Free Patterns, so feel free to spread the word to your sewing friends and on your social media. 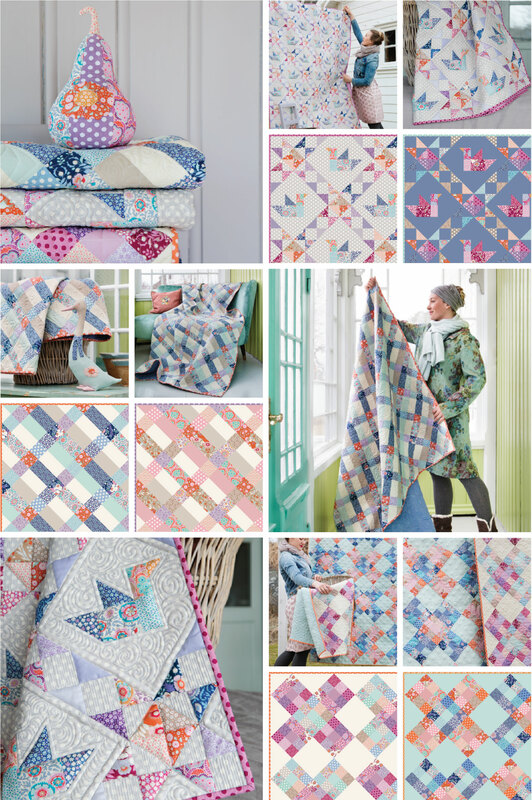 The quilts are designed by Tone Finnanger in BirdPond fabrics, sewn by Ingun Eldøy and quilted by Marianne Engeset Nybølet. Explanations are written and illustrated by Linda Clements. All the quilts are designed in two color ways. The Duck and Butternut Squash are from the new Tilda book Hot Chocolate sewing.